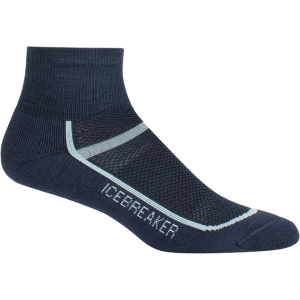 Visit Icebreaker's Multisport Cushion Micro page. 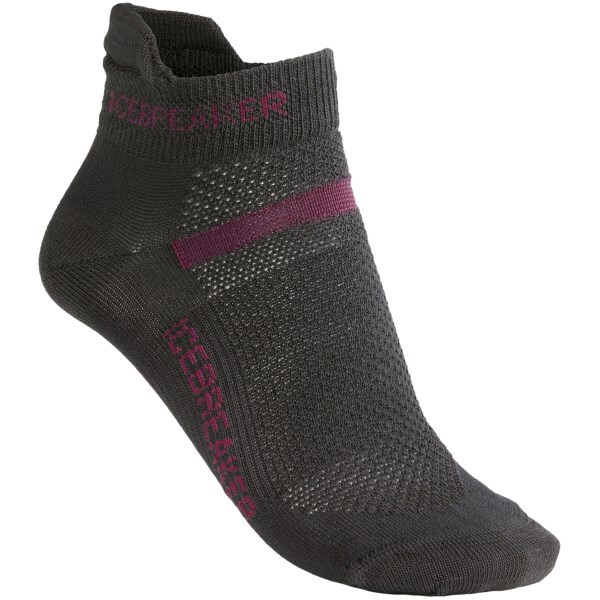 Long runs and training sessions with the Icebreaker Women's Multisport Cushion Micro Sock help ease the pain and yield more efficient exercise in the gym or out on the trail. 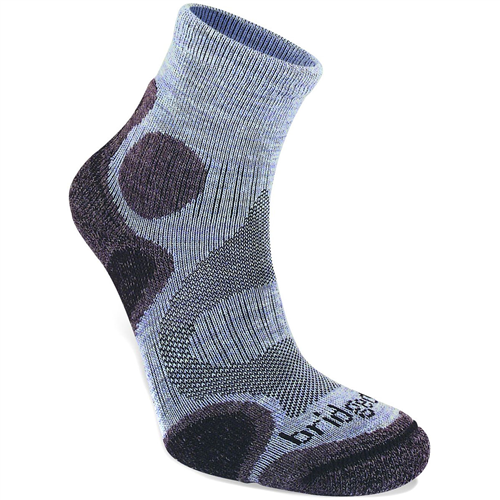 We`ve maximized the comfort of all our socks, re-engineering them using new yarns that increase stretch, loft and softness while still maintaining exceptional durability. The Multisport Cushion Micro offers a lightweight cushioning underfoot for day-long summertime sports. 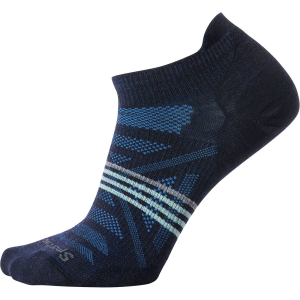 Fabric: 55% Merino wool; 43% Nylon; 2% LYCRA(R) Layer: Socks Best for: Running & Fitness, Outdoor & Hiking, Travel & Lifestyle Benefits: Ultra lightweight, breathable, naturally odor-resistant, LYCRA(R) enhances fit and dry time Features: Strategic lightweight cushioning; Breathable ventilation zone; Achilles and instep support prevents slipping; LIN toe seam prevents chafing Height: Micro - 4` Cushioning: Lite Care: Machine wash. Tumble dry on low, inside out. Exact instructions on the care label. 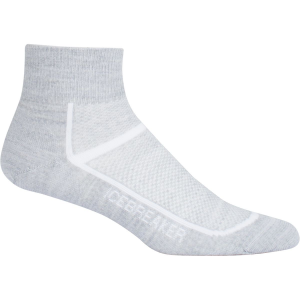 Made with moisture-wicking merino wool, Icebreakers temperature-regulating Multisport Lite Micro Socks retain heat in the cold and offer cooling breathability in the heat. Dense, underfoot cushioning is ideal for high-impact activities. Breathe zones promote venting and air circulation. 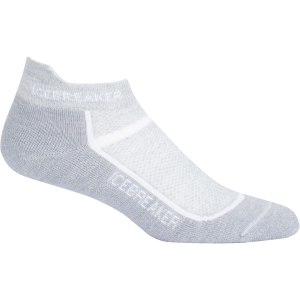 Soft, durable socks feature seamless toe closures, Achilles/instep support and bulk-eliminating function junctions up top. 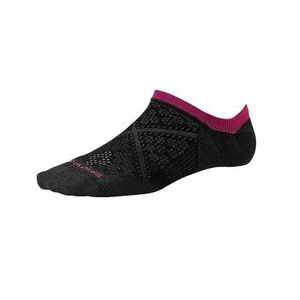 Made of 65% merino wool, 33% nylon, 2% Lycra. Imported. Ht: 4. Womens sizes: S(5.5-7), M(7.5-9), L(9.5-11). Color: Blizzard Heather. Size: Medium. Color: Blizzard Heather. Gender: Female. Age Group: Adult. Material: Lycra.